“JAXA expresses the deepest regret for the fact that we had to discontinue the operations of ASTRO-H and extends our most sincere apologies to everyone who has supported ASTRO-H believing in the excellent results ASTRO-H would bring,” the agency said in a press release. The 2,700-Kilogram Hitomi observatory, back then still named Astro-H, launched atop an H-IIA rocket on February 17 and passed all its critical commissioning steps with flying colors, entering a lengthy instrument calibration campaign to prepare its Soft- and Hard X-Ray sensing systems for simultaneous spectral analysis and imaging of targets over a broad range of the high-energy spectrum. 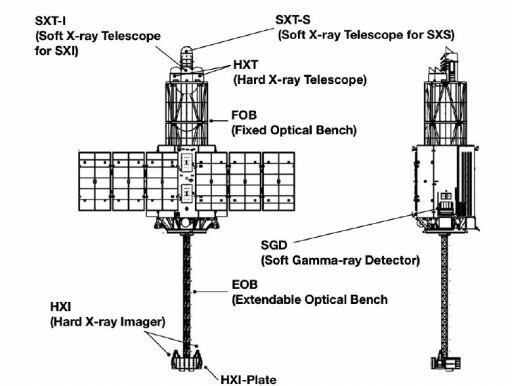 Hitomi was expected to become the first mission to successfully employ a microcalorimeter array – promised to deliver a much higher resolution than conventional CCD detectors for a new look at the high-energy universe. Test observations were already underway when trouble struck on March 26. Hitomi missed a regularly scheduled communications session with a ground station and information soon came forward that the spacecraft had shed debris. Small blips of signals were received from what was thought to be Hitomi in the days after the event, but hopes of restoring communications with the spacecraft ultimately faded. Analysis performed in the wake of the onboard anomaly revealed Hitomi had been doomed by a chain of failures in which different systems and safety barriers were not able to correct an abnormal onboard situation that started out with an erroneous reading from one of the vehicle’s body rate sensors. With false data from the Inertial Measurement Unit fed to the flight computers, Hitomi commanded its attitude actuators to counter the sensed roll rate on the spacecraft which, in reality, was not present at all. Typically, the spacecraft was expected to employ other sensors using the stars and sun as reference points to determine its orientation in space, but these systems were not available at the time of the problem and only data from the faulty IMU was fed to the Flight Control System. Consequently, the spacecraft continued to build body rates until its reaction wheels were approaching maximum momentum levels leading to the activation of Hitomi’s thruster system. The final nail in the coffin came after the activation of the thrusters due to the absence of proper sun sensor data and the fact that the thruster settings uploaded after the deployment of the Extensible Optical Bench were not appropriate for the new spacecraft configuration. Hitomi continued spinning up, causing spacecraft components not designed for these body rates to separate. 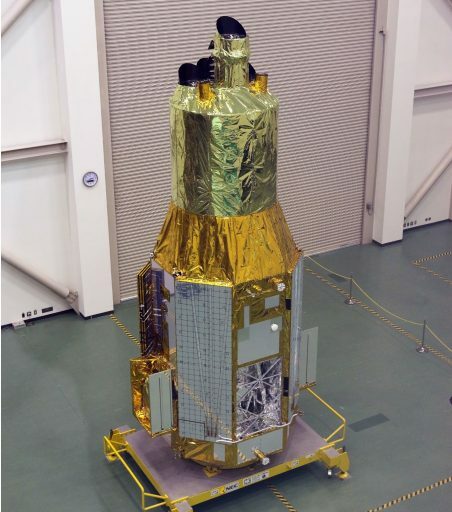 JAXA determined that the likely candidates for the debris are the outer solar panels and the Optical Bench – leaving the spacecraft in an uncontrolled tumble with no means of power generation. On Thursday, JAXA announced that the mission was officially lost and the signals received in the days after the failure were not from Hitomi after all, indicating the vehicle had been dead by the time engineers became aware of the situation. With all attempts to save the mission in vain, Hitomi will continue tumbling through space for years to come, currently tracked in an orbit of 564 by 582 Kilometers. For JAXA, the focus now shifts to determining the exact causes of Hitomi’s untimely demise to identify specific design issues that contributed to the complex failure mechanism. With a cascade of onboard faults that apparently transpired over a multi-hour death-struggle, engineers will have their work cut out when attempting to determine why multiple stages of safety systems were not able to correct the attitude-sensing abnormality. 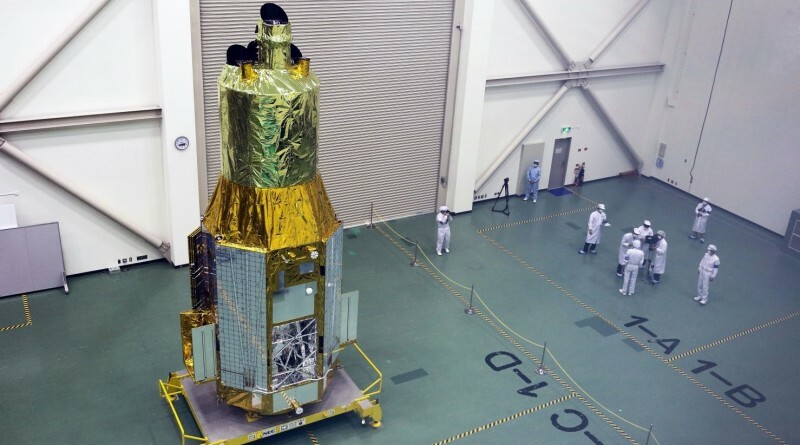 Investigators will closely scrutinize the Inertial Measurement Unit that started all of Hitomi’s troubles when erroneously sensing a high roll rate around the spacecraft Z-axis after a scheduled re-orientation had finished. 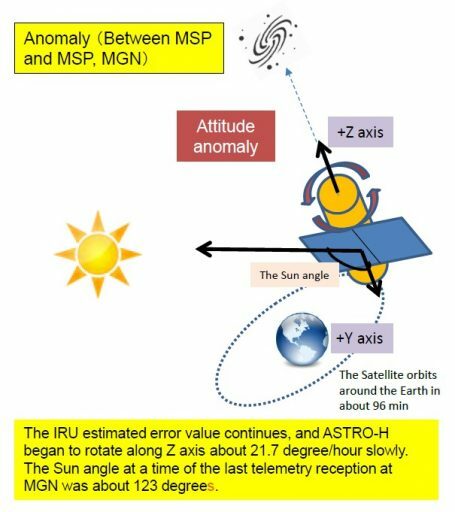 Normally, the time integration algorithm employed by the inertial reference system would slowly bleed off any transient attitude sensing errors, but in this case only drifted to a body rate of 21.7°/hour at which the IMU locked up. The next link in the chain of systems failures onboard Hitomi was the Star Tracker system which would normally correct IMU readings and, in case of a large IMU bias, supersede the inertial data. But on the fateful March day, no Star Tracker data was processed by the spacecraft after finishing its change in orientation for reasons that will have to be identified as part of the post-mortem. At this point, with the IMU delivering bad data and no correction available from the Star Trackers, Hitomi entered a slow roll as it used its Reaction Wheels to counter the erroneously-sensed, non-existent roll rate. When the reaction wheels came close to saturation, an attempt was made to unload momentum using the spacecraft’s magnetic torque rods but because the vehicle was not in a stabilized orientation, the system was ineffective. The last safety barrier employed by all modern spacecraft is a Safe Mode that is programmed to kick in when any onboard system violates operational parameters. With the reaction wheels near saturation, Hitomi’s safe mode was triggered to switch to the thruster system, attempting to transition the spacecraft to a sun-pointed orientation and then wait for input from Earth. In a normal scenario, a 20 deg/hour rotation would be easily correctable as part of the transition to safe hold, but another isolated systems fault was waiting to seal Hitomi’s fate. 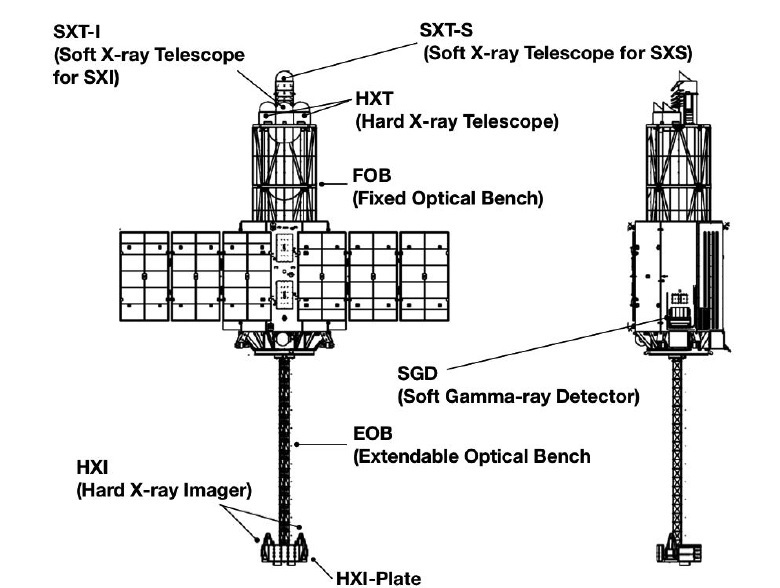 When deploying its 6.3-meter long Optical Bench facilitating the Hard X-Ray Detector System, Hitomi significantly changed its configuration – the spacecraft center of mass shifted, requiring new algorithms to be uploaded for the attitude control system. 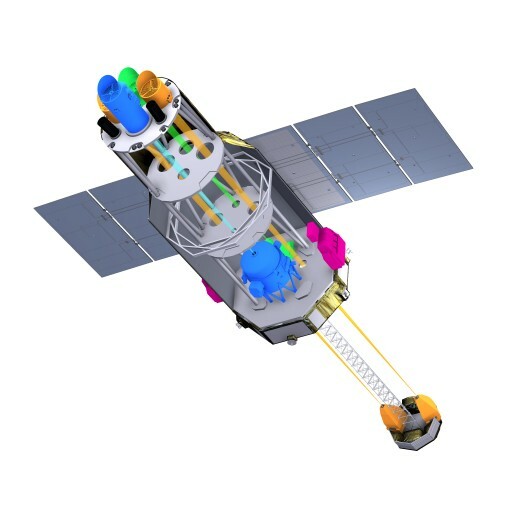 The post-incident analysis performed thus far revealed that the thruster control parameters uplinked after EOB deployment were not appropriate for the new satellite configuration – taking away Hitomi’s last line of defence. With at least three onboard faults, Hitomi ended up spinning itself into pieces. 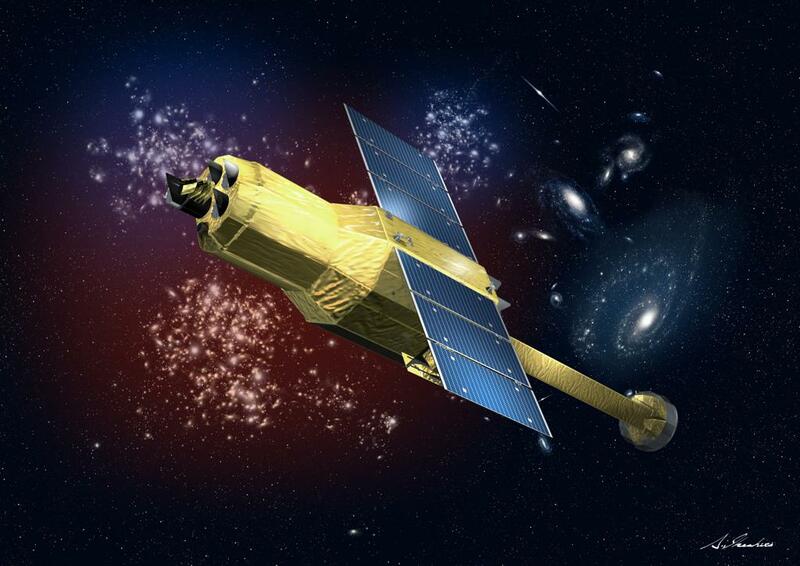 The Hitomi mission was expected to deliver breakthrough results in a diverse area of science, ranging from the large-scale structure of the universe and its evolution to the behavior of matter in strong gravitational fields, the physical conditions at sites of cosmic-ray acceleration, and the study of dark matter in galaxy clusters.